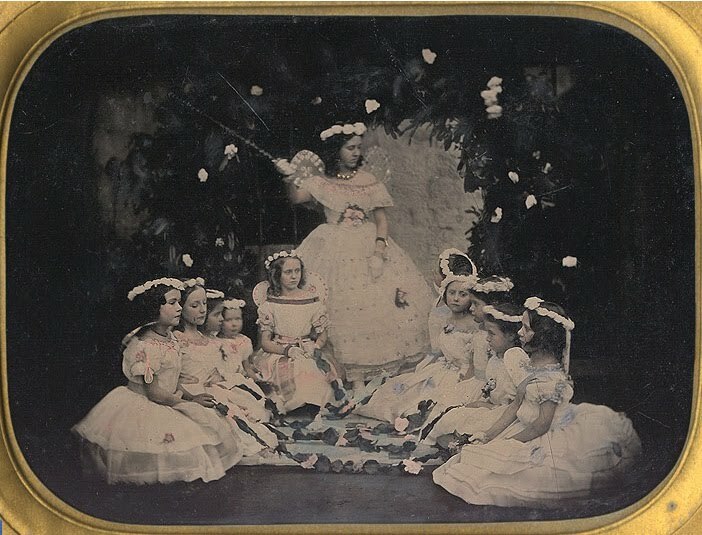 Fancy Dress Events were very popular in the 1860s - so popular that ladies magazines even published colored prints of costume ideas for such events. 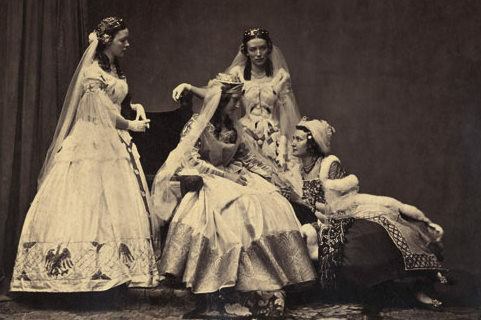 Fancy Dress Balls and Parties were basically Costume Parties of the Victorian era. Guests came in costume representing famous people from history or dressed as someone from another era - often even wearing their grandparent's clothing. Animal costumes and costumes from another culture were also popular. I've done a lot of research on these Fancy Dress events as well as Tableaux Vivants from the 186os. Some of the original images that I've found over the years are posted HERE. In May I'll be attending a Fancy Dress Ball in Lancaster County. I'm very excited about my costume - but I'm afraid it will have to be a surprise until after the ball! Very cute! I'd love to know what the women in the first image were supposed to represent. The images you've collected are stunning. I could hardly pick a favorite. Such a tease. Can't wait to see what costume you have choosen for the ball.